NASHVILLE, Tennessee — The tip-off time for The University of Texas' NCAA First-Round contest on Friday, March 16 has been set for approximately 3:30 p.m. Central (30 minutes following completion of Cincinnati-Georgia State game that tips at 1 p.m. CT), CBS Sports and Turner Sports announced tonight. The Longhorns (19-14, 8-10 Big 12), the No. 10 seed in the South Region, will play No. 7 seed Nevada (27-7 overall, 15-3 Mountain West). UT's game on Friday will be played at Bridgestone Arena in Nashville and be televised nationally by TBS. Should Texas advance to the Second Round, tip time for that contest on Sunday, March 18 has not been determined. Texas would face the winner of Friday's Cincinnati-Georgia State game. This marks the second NCAA Tournament appearance in the three years under coach Shaka Smart and 34th overall appearance by the Longhorns in the NCAA Tournament. UT will make its 18th NCAA Tournament appearance in the last 20 seasons and is just one of eight schools nationally to appear in at least 18 of the last 20 NCAA tourneys. 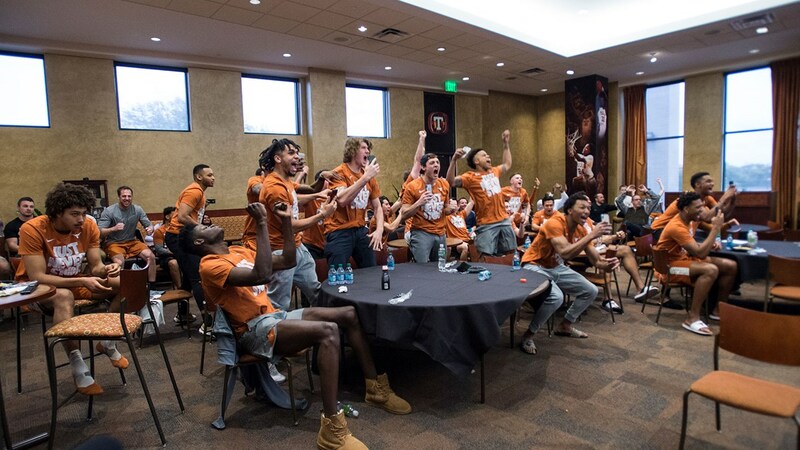 This also marks the 26th time in the past 30 seasons the Horns have earned a bid to the NCAA Tournament. Texas is one of six schools to appear in at least 26 of the last 30 NCAA tourneys.